There’s no mystery to financial planning. What it simply requires is taking a personal, in-depth look at your goals and deciding how you intend to achieve them. Once you decide what you want, you can make plans to get from where you are today, to where you want to be tomorrow. Is a process that involves identifying needs and objectives, establishing based on your values, and implementing options. We Listen to your financial concerns and objectives. We analyze your personal situation with your values in mind. We propose a plan to address your financial situation. ·Custom-design programs to try to achieve your special goals… buying a home or condo, retiring early, financing your child’s education and more! Since no two people are alike, no two plans are alike. That is why we use a one-on-one approach when developing a financial plan. A specially trained financial planner will listen to your financial concerns and discuss what financial planning can do to help you achieve your objectives. If you decide to purchase a financial planning service from us, this is where we learn about your financial goals, objectives, assets, and expenses. This information is kept strictly confidential. A preliminary analysis of the information is prepared. This includes reviewing all your objectives and determining if they are feasible. Your planner may consult, with your permission, your attorney, accountant or other advisor to make sure the data is complete. After all information is analyzed, a final plan will be presented to you. The final plan is prepared especially for you by your planner. It contains specific recommendations to help meet your financial goals and needs. In life, one thing is constant; change. Your financial planner stands ready to update your plan as needed. As a client, you and your planner will develop a confidential relationship based on mutual trust and respect. 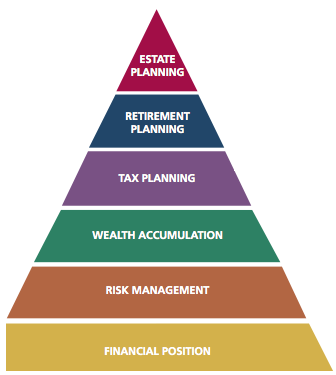 Above all else, when you become a financial planning client, your planner is obligated to act in your best interests. 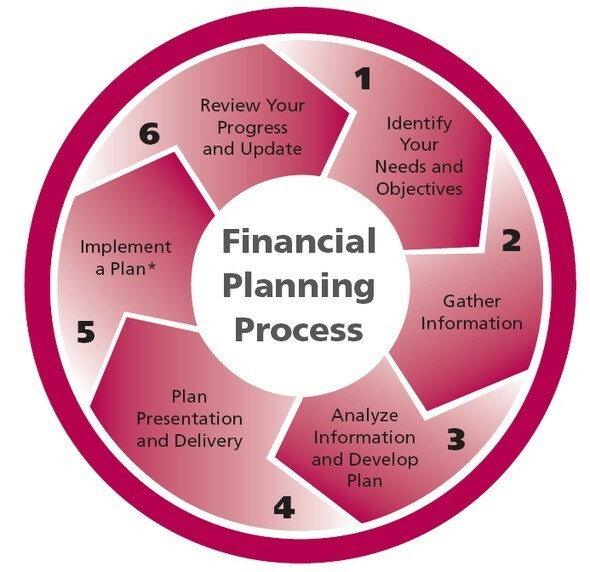 Your financial planner’s goal will be to ensure that your objectives have been incorporated into your plan.